Peg worked for a global telecom company as a project manager traveling the US. She owned her own business and worked in a variety of fields. This flight attendant is a long-time expert on what goes on behind seat backs, tray tables and in the galleys of the sky. She worked for twenty years from May 22, 1998 to May 22, 2018 until an injury took her from her beloved career. 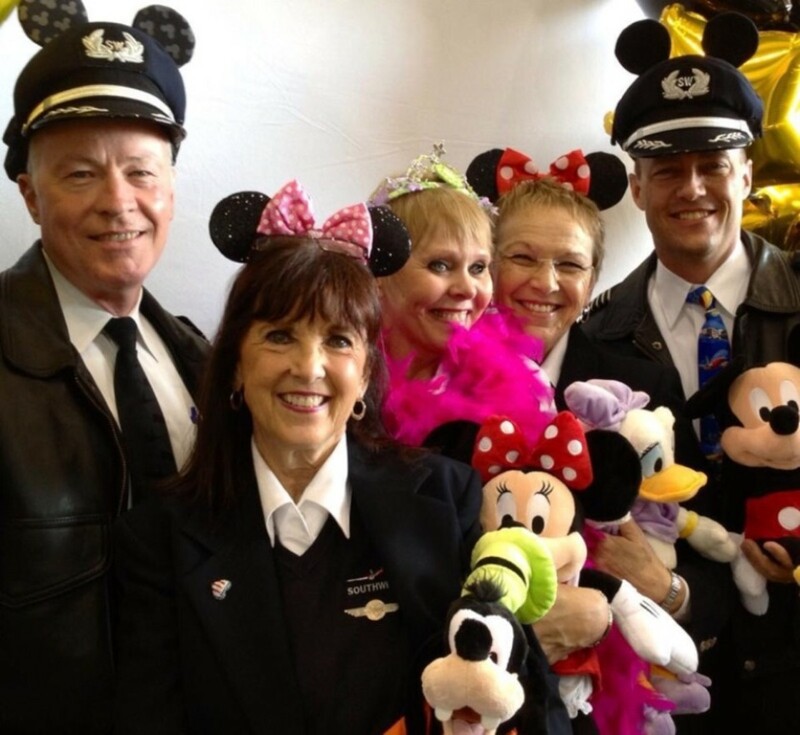 Lynnie G. says, "Being a flight attendant is every little girl's dream." 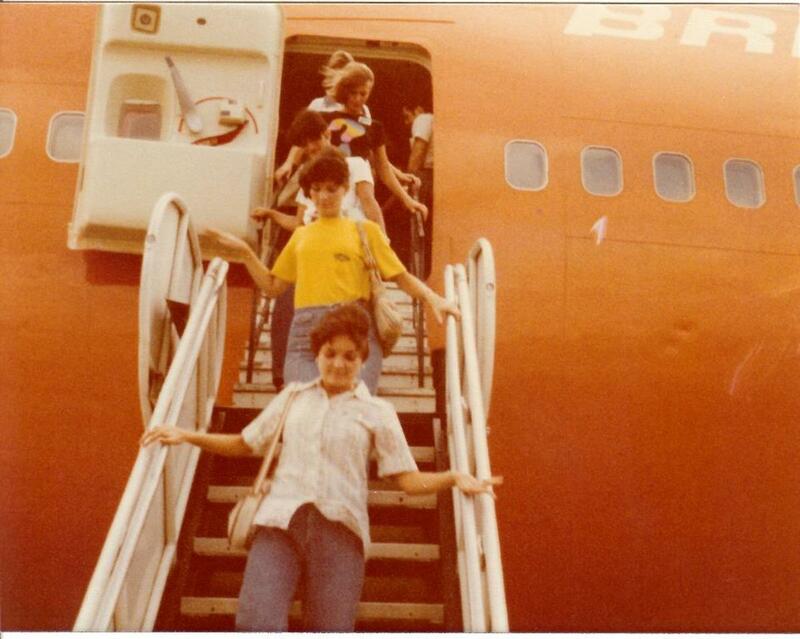 And she lived that dream even though she was a tad shy of the height requirement of several airlines. But she found a way and these are her candid answers about what it was like. Why Did You Want to Be a Flight Attendant? It was something I wanted to do ever since I could remember. I had an established career going, was rather well-known in my little town. I had managed to become the Chairman of the Board of the Chamber of Commerce. The town had even declared a day in my name to celebrate. I was walking in the Houston Intercontinental Airport one day when I spotted a rather short flight attendant making her way down the concourse. I stopped her and boldly asked how she got away with being short. From what I understood, the minimum height was 5 feet, 2 inches. 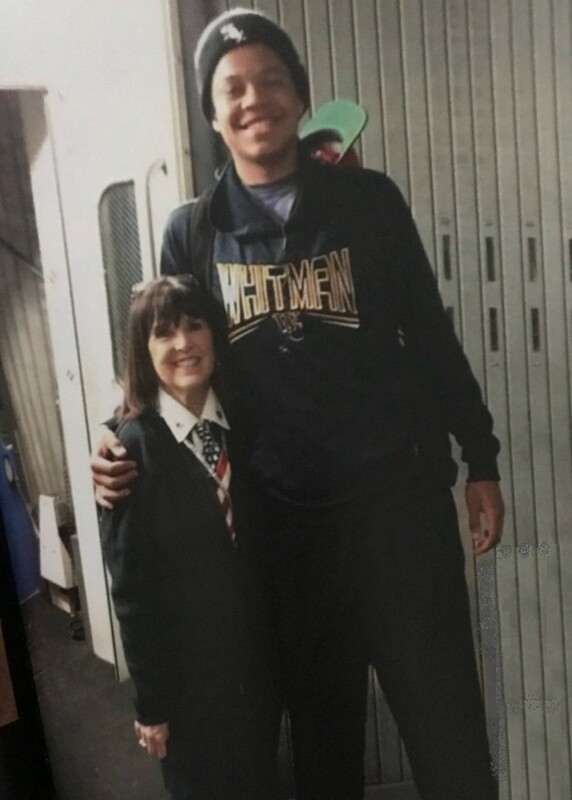 This flight attendant said there was no height requirement at her airline; just a reach requirement of 75 inches. So, of course, I immediately applied for a job. I asked her how she got the job and so now it's a reach test for a lot of the airlines rather than a height requirement." How Did You Begin Your Airline Career? I went to a Continental Airlines interview and was chosen to go to class but then they shared a glimpse of the doom and gloom that awaited. We were told that all new recruits would be based in Newark NJ for about five years. Worse, they said because of full flights during the holidays, recruits wouldn’t be allowed to travel home to their families. That was enough to make me turn it down. Two of my friends' husbands were pilot/captains for Western Pacific and that's how I found out about them. Later I interviewed with Western Pacific, also known as WestPac, which was known for their theme painted airplanes. I worked the 737-300 with Marge Simpson with her blue hair painted on the tail. I soon found out the airline was in financial trouble and they were about to merge with Frontier Airlines. That was, until the Board of Directors backed out of the deal. I worked for them for 9 months before they went under in February of 1998. Their Human Resources department was fabulous about getting in touch with all the other airlines to help us find new jobs. What Qualifications Helped You Land the Job? Southwest was the one airline that I wanted because I had spent 22 years in Houston and knew what a fabulous airline it was. Five of my friends and I drove from Denver to Colorado Springs for us all to interview for Southwest. I had served as manager of a Savings and Loan for 10 years and then as Vice President of two local banks in the Kingwood area. My involvement with the Chamber of Commerce went back to around 1979 or 80 and I was asked to be the Chairman of the Board for a year. We had a friendly community, treating people as if they were guests coming into our house. The airlines seemed to prefer people who hadn’t already worked for other airlines. I seemed to fly through the interview process. I was selected to go to training and started with them May 22, 1998. 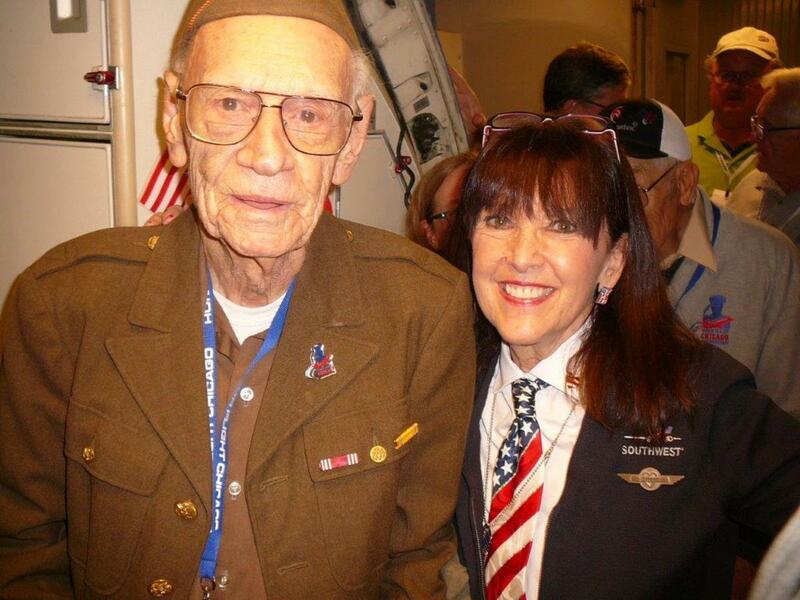 I think the best flight of my life was the Honor Flight for World War II Veterans. I would do it all over again for that. The Honor Flight took off out of Dulles headed back to Chicago. It was never overnight for the soldiers because of their medical conditions. 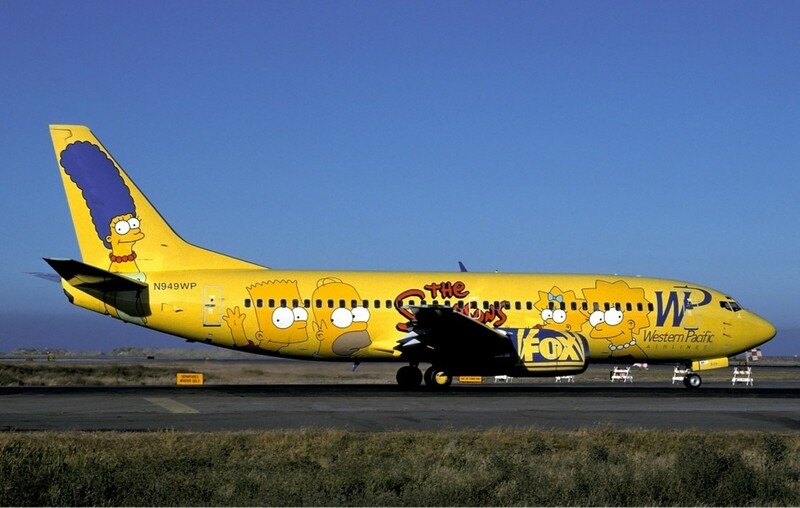 We'd contacted headquarters to get some flags and stuff to use for decorating the inside of the planes. I love our Soldiers. We had punch and cookies. The people in charge had two backpacks of mail with photos and thanks from the families, churches, and friends. We had a mail call just as if they were out in the trenches. taking an envelope to each soldier. Everybody got mail. While we were in the air, I went around to each of them to find out what they had done in the war. One told me he'd been a prisoner of war, and there was a Navy Seal. Some pulled out pictures of themselves when they were in the service. I asked who was the oldest soldier and it was George who was 103. Each soldier had a companion with them and the Honor flight had their own medical team and all the equipment they needed. 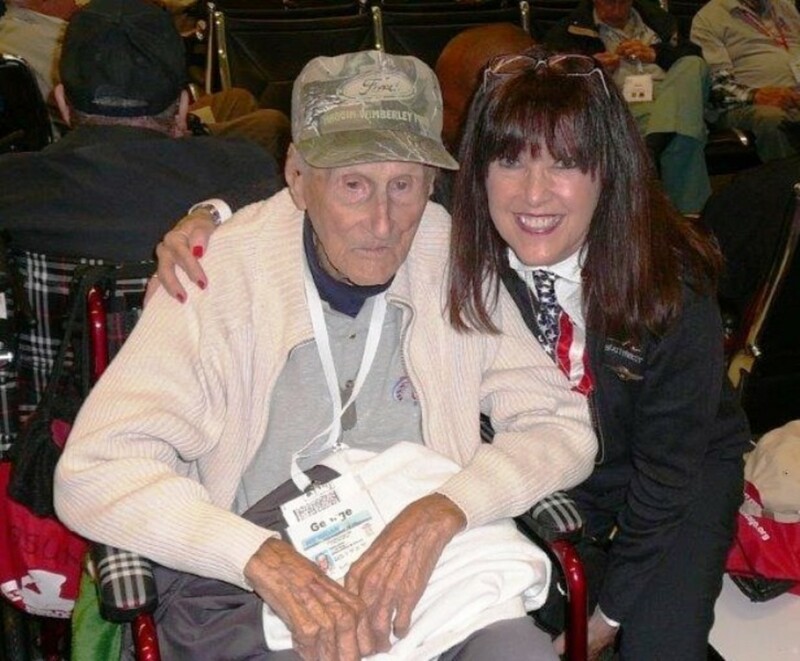 I was able to work two Honor flights. On one of our regular flights (not an Honor Flight) we were not full but there were a lot of empty middle seats. We found out there were a number of World War II Veterans that were stuck in traffic on the bus coming back from DC, and we waited for them. I knew that most of them would probably be in wheelchairs or walkers, so I made an announcement that we had these WWII veterans coming in. "If you ever wished there was a way to say thank you to the veterans, then, if there's an empty middle seat next to you and you wouldn't mind moving to the middle, this will allow the veterans to have the aisle seat." We had former POWs, Navy Seals, and even B 130 Bombers aboard the flight. Everyone got up and moved immediately. The passengers were amazing. What Was Your Favorite Destination? My favorite layover had to be in Philadelphia because we stayed at a hotel right in the middle of downtown. You could walk to the Liberty Bell, to the Treasury to Betsy Ross’ house and the original Macy’s that sported a 20 foot tall eagle inside. 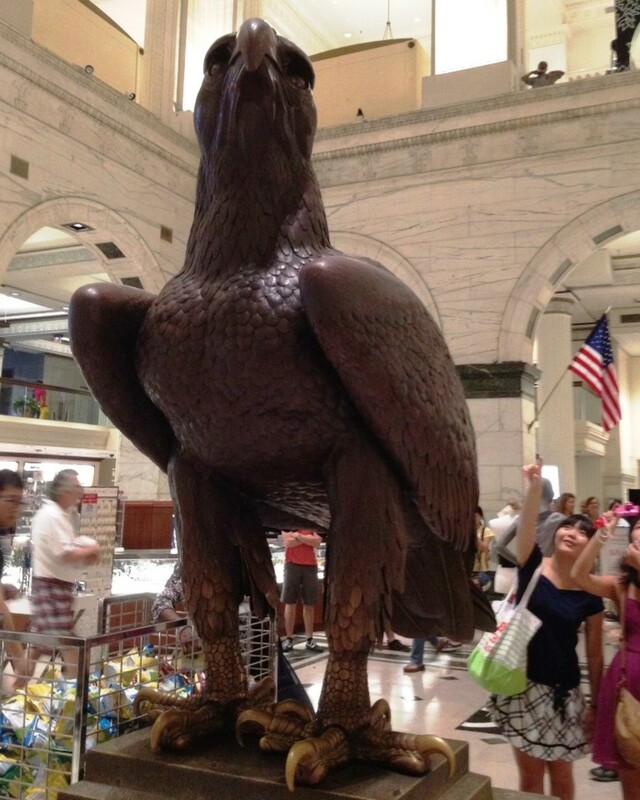 It was easy to tell everyone, "Just meet me beneath the eagle." I always wanted to go to Spokane Washington because it was so beautiful, although I disliked landing in any cities surrounded by mountains. Because of the incline, it left us with only thirty-two minutes to serve. And the ride was bumpy. Same with Reno and Las Vegas. We did tray service with beverages only. If the trip was under forty-five minutes there wasn't time for a beverage service. Back in those days everyone used cash or drink coupons. We didn't accept credit cards. I tended to avoid flights that traveled below the border because of the paperwork required with declarations and customs. What a pain! After graduation, everyone went to Chicago. I roomed with three other flight attendant friends that went to Western Pacific. As new recruits, our schedules were hard line the first month, which meant that all new FA's got a specific schedule with assigned destinations and flights. After that, it was two months of reserve and then one month of a schedule. When classes started graduating every three and a half weeks, that took away the hard line schedule and that would bump us to reserve status which didn't seem right. Our starting salary at the time was $14.02, called trip time. With each trip’s landing we earned another trip time for however many hours we were gone from base plus a per diem of $2.00 for meals. 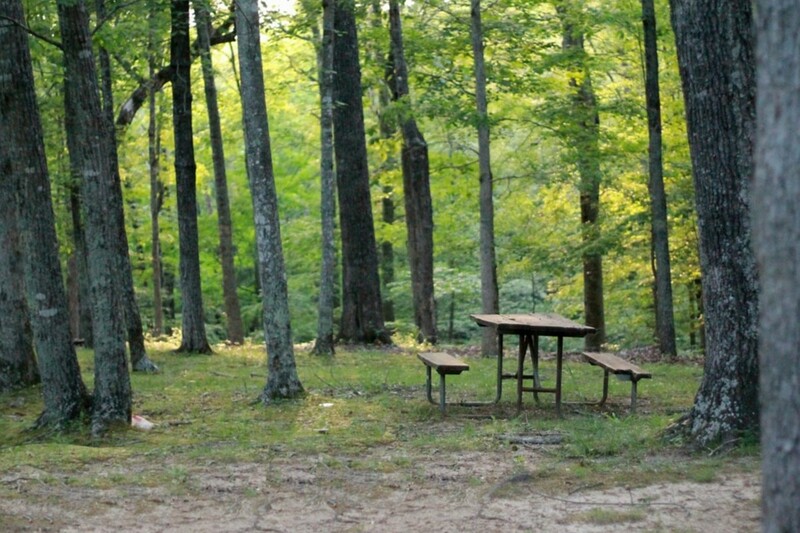 What Was Your Most Interesting Trip? Why? 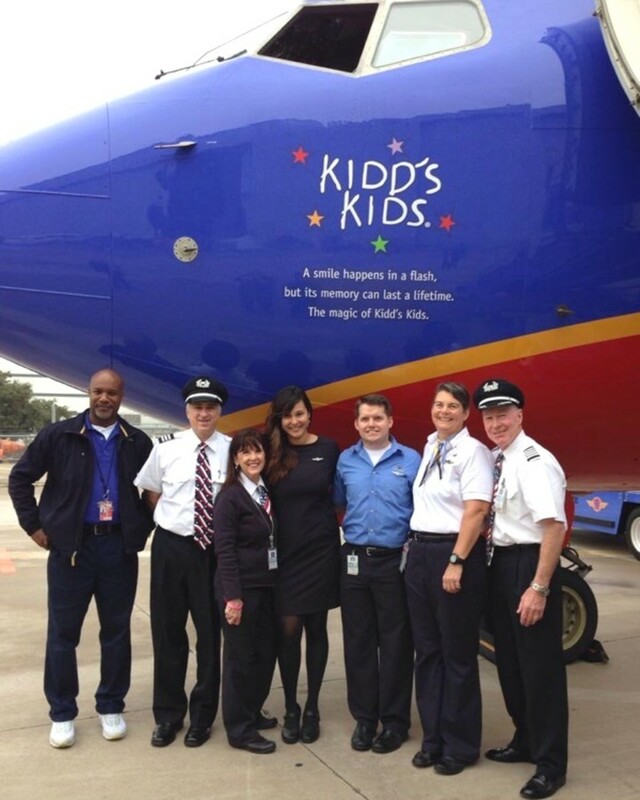 Dallas talk-show personality, Kidd Kraddick hosted a radio show program called Kidd’s Kids to fly disabled children to Disneyworld. They found sponsorship for the airplane, fuel, Flight Attendants, Dallas Cheerleader’s, lunches, cookies, games, toys, coloring books. Departing Love Field in Dallas, the crew would announce each child's name and take them down the red carpet to board the plane. Accompanying them was their own team of medical people. I was able to do two of these flights and loved it. The morning radio show host would set up front, the Captain would open the door and invite the children up into the cockpit. Flight attendants would pass out the goodies. One charter dropped the kids and their families off at Disney World in Orlando for a week of fun while the flight attendants deadheaded back to Dallas. 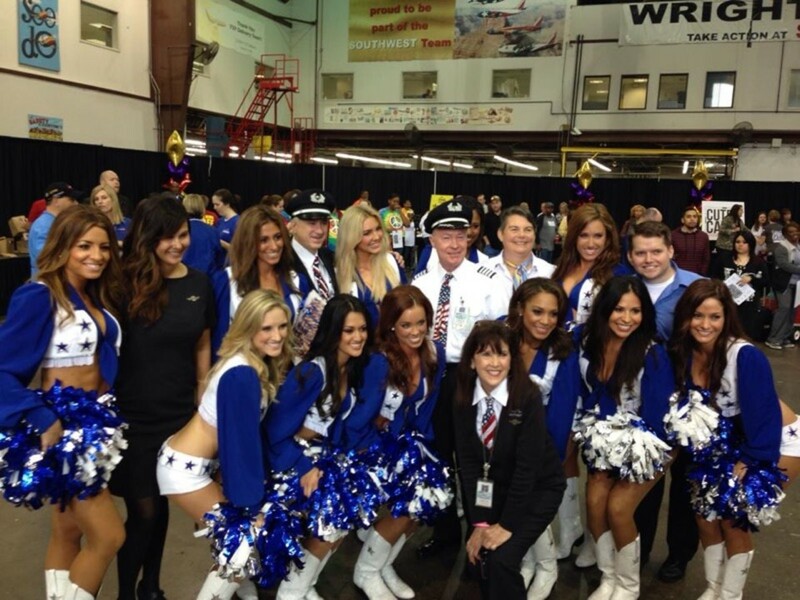 Another charter would pick them up a week later and return them to Dallas. The tradition is still going on. Kidd's Kids' mission is to provide hope and happiness by creating beautiful memories for families of children with life-altering or life-threatening conditions. What Actors, Celebrities, Politicians or Well-known People Were On Your Trips? I met Al Gore on July 3rd on a smaller plane (a 300). We were wearing our patriotic outfits. He had an aid with him and chose to sit in 1 A then immediately fell asleep. He wanted a diet Coke and later he posed for a photo. Tom Skeritt, handsome star of TV show White Picket Fences, the movie, Steel Magnolias, bent down and kissed me on the cheek on his way off the plane. Huey Lewis, I had to ask him not to put his roller bag on top of the blankets but he was nice about it. Jerry Rice, a 7 foot tall, gorgeous man wearing his championship rings, retiring from Denver, played for the San Francisco 49ers, was as nice as they come. David McCallum, who played an NCIS coroner, and Illya Kuryakin on the original Man from U.N.C.L.E., a mild, gentleman who wanted a spicy tomato juice. Any Life Threatening Emergencies On-board? We trained using what was called a Co-heart program. New hires had to fly the A, B and C position on rotation. We were headed to New Orleans when a couple of passengers said they smelled Sulphur or something that smelled like a burned match. I made an announcement asking if anyone had struck a match. No one had. Passengers said they smelled it, too. I glanced at the window exit and there was a 15 year old seated by the exit door. This is a fifty pound window that needs to be lifted and moved aside during an emergency. I asked the teen if she was physically and emotionally able to handle the exit window. She looked panicked. “NO!” she screamed. The guy next to her switched places with her. The response team came on board looking like RoboCop with their silver suits and gear. We evacuated everyone off the plane after making an emergency landing. The airline was able to accommodate everyone to continue on to Houston arranging for connecting flights. Another time, there was a lady in a wheelchair being brought down the jet-way in Los Angeles. Her family must have dropped her off. She looked really bad like she was seriously ill. I was trying to get an emergency contact information off her cell phone while someone gave her oxygen. Paramedics were there immediately and took over. There was the Elvis impersonator who would sing Elvis songs and the Rapper named David who was invited to headquarters to rap the announcement. He did the entire safety information announcement on a plane load of business men who finally took notice of the “Stomp, Clap” version. I can’t say enough nice things about Mary Ann G. who hired me, trained me, and nominated me for the President’s award. The training that Southwest gives you is truly amazing. 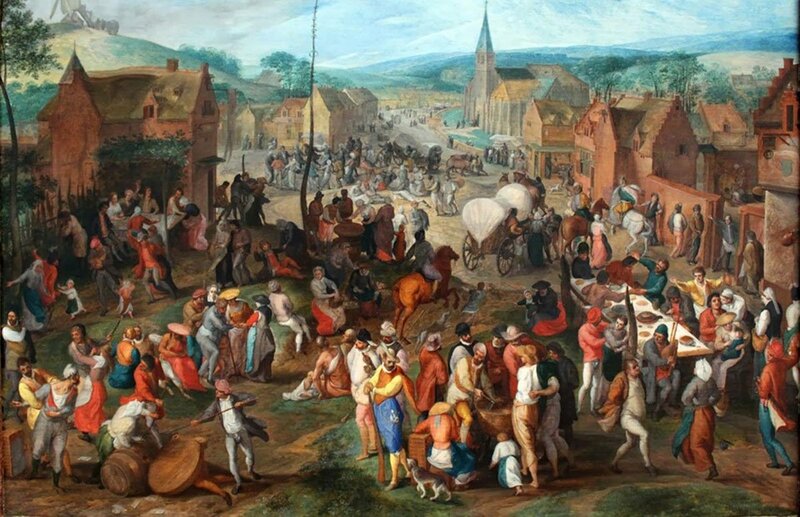 They tried really hard to find outgoing people who weren’t afraid to have fun. They allowed the flexibility to “color outside the lines. The respect that they show is amazing while watching for the people that don’t belong - called Ghost Busters. Instructors took note if you rolled your eyes and weren’t talking with people. David Curry was my first instructor in my first class. I went in at around 105 pounds and went out at 90 pounds. Would You Choose this for a Career Again? I would not consider going to another airline since I know the culture. Southwest is like a family. In their mentor-ship program, they guided their new hires to work the three (A, B, and C) positions. The cohort program is more a retention program that met with resistance due to the cost of spending on another FA and a hotel room. Given the chance, I'd do it all again, in a heartbeat, with no hesitation. Unfortunately, the injury I suffered on the job is not correctable and I can no longer meet the lifting and strenuous requirements of the work. 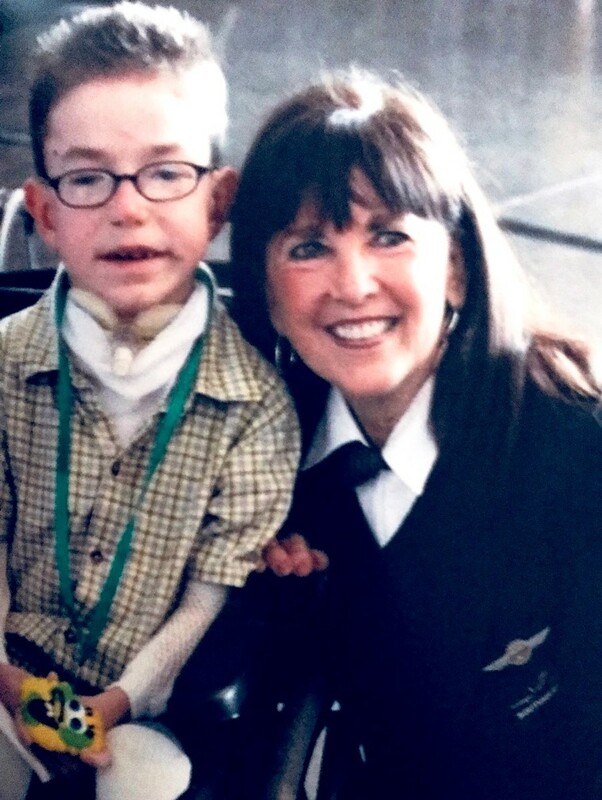 Many Thanks to Lynnie G.
Lynnie G. has years of flight attendant stories waiting to be shared with others. Her enthusiasm and love for the job shines through her fond recollection of memories. She will likely be returning with Part 2 of the story. Thank you so much for sharing your time, memories and photos with us. Hi Pamela, I'm sure you would have been a great flight attendant with your caring nature. Thanks for dropping by to read this interview. I use to think this would have been the job for me. 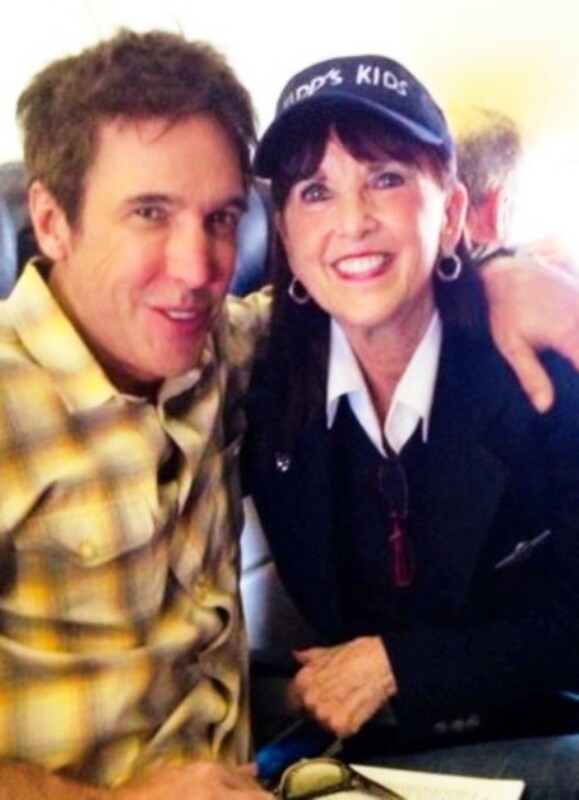 I truly enjoyed this article and what a wonderful life being a flight attendant would be. This was a very unique idea for an article. Thanks, Natalie. I hope you go forward with your interviews. This lady was really fun to work with and had so many wonderful memories and stories. Thanks for coming by. What a great idea for an article! I advocate interviewing people wherever you as a technique for generating regular blog posts but I so rarely do it. This has me motivated to follow through on some interviews I never did but wanted to. Thanks! Hello Dora, Glad to hear that you like Southwest and that the interview answered some of your questions. Thanks so much for coming by and for the kind remarks. Hi Genna, Oh, my, the Reno turbulence is exactly that without the thrill of a theme park. Funny, Lynnie said something almost exactly like you did about "coloring outside of the lines" on the Southwest aura. How wonderful that your son found a great place to work that matched his interests and outlook. I can't blame her for the Newark thing, either. Thank you so much for your visit and interesting comment. This is a great article. Thanks for sharing your flight attendant experience, and in the process answering questions we were curious about. Happy that you enjoyed it so much. I lived in Houston for many years and Southwest was my favorite airline. Hello Linda, Your powers of observation are keen, as always. I appreciate you finding the depth of Lynnie's message in her contributions and service to others. Smiling. Hi there Shauna, I hope Lynnie G. will consent to sharing more of her stories and memories, too. Thanks so much for stopping in to read this and for the great comment. What a terrific article, Peg. And what a full and interesting life Lynnie has experienced. I don't blame her for a nanosecond in turning down the opportunity of living in Newark, NJ for five years, while being unable to travel home to visit family during the holidays. I had to smile at her reasons for joining Southwest; my son echoed those very same thoughts when he also applied at SW. (He's been a pilot with this organization for several years.) "They allowed the flexibility to “color outside the lines." Her comment describes some of the SW philosophy quite well! Lynnie, with her spirit, intelligence and joie de vivre is just the kind of person they want to become part of the SW family. They were lucky to have her. By the way, she's spot-on regarding the turbulence in Reno. I flew out of there once, and never will again. It was like flying on a roller coaster. Hello again, Ann. I love Henry Winkler, too. My favorite movie with him in a starring role was, "An American Christmas Carol," a version of the classic Dickens tale. It's become one of our standard watch every year at the holidays movie. Thanks again for dropping in on this series. I'm so glad you enjoy it. Another fascinating interview; I like this series, Peg. Love the Eagle - it's huge! 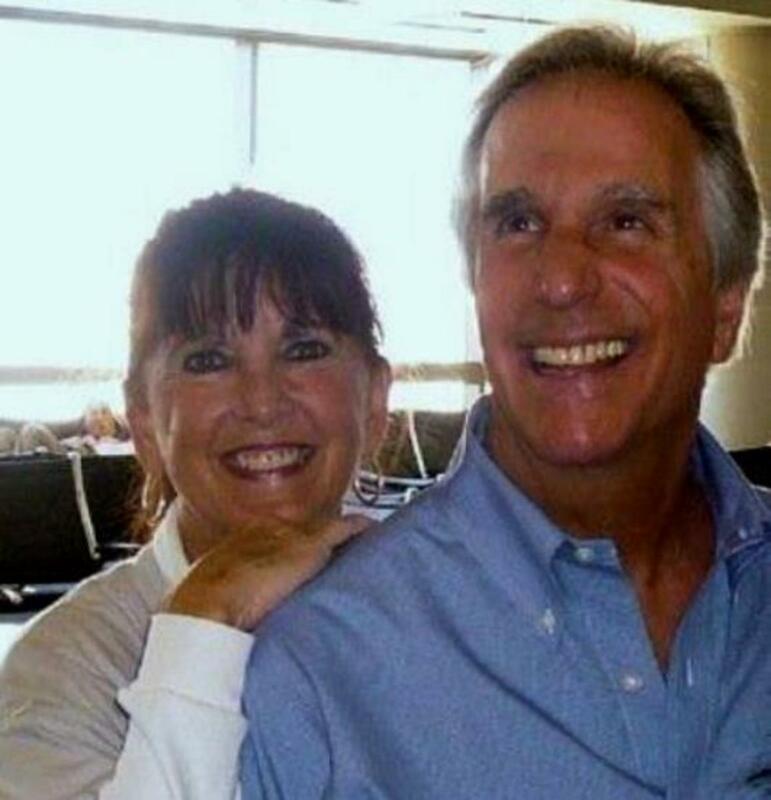 And I love Henry Winkler; still go weak at the knees when I see a picture of him, or an episode of Happy Days. He's dyslexic, apparently, and that makes him even more special for me. This article is about a flight attendant and so much more. It's very interesting, Peg. Lynnie G. had some great experiences. Lynnie G. had a fascinating, exciting career. I'm very much looking forward to part two of her story. I hope her injury isn't causing her pain, Peg. Hello Peggy, She does seem to get the most out of life and treasures the experiences. Thanks so much for your visit. Thank you, Liz. Nice of you to drop by. Hello Peg - It sounds like the 'ladies of the sky club' had quite the adventures. Interesting how nostalgic these interviews makes me feel. Glad you continued with these vagabond adventure stories. Thanks, Bill. Living our dreams! Isn't that great? She seems to have gathered a life time of great memories. Lynnie G. certainly seemed to have fun on her many years of flights. Those veteran flights and the ones for children would be special for almost anyone. Glad she shared those experiences with you so that you could relate them to us. Hello Verlie, You always know just what to say to lift up my spirits. You are a gem. And so is Lennie G. Thanks for coming by. Mary, I'm grateful for your comment and for your kind words. Thank you for the visit. Hello Jackie, You might be surprised at the camaraderie that still exists among airline groups. There are several on Facebook that continue to share memories and stay in touch long after the airlines went out of business. 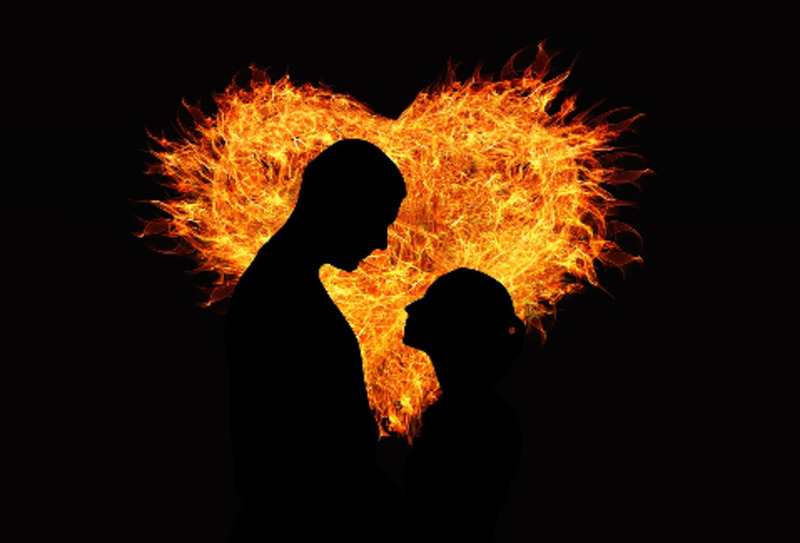 Thank you for coming by to read this and for the great comment. This is a very interesting insider hub on the airline industry. That was a fun interview. She obviously lived her dream and loved it. Thanks for sharing! Enjoyed this interview so much Peg. Lynnie G is a gem. What a smile! Wonderful stories, gorgeous photos. Your article would be perfect for publication in an inflight magazine on the airlines she worked for. What an interesting career, having all those experiences and meeting different people. You have corrected my misconception about flight attendants. Hello William, I'm delighted that you enjoyed this interview and appreciate your visit and kind remarks. So very interesting Peg, thank you. I enjoyed this so much. I am not 5'2" either so would probably would not have made it if I had decided to try. Reading this of course makes me wish I had tried! I never realized how it is sort of like a family away from home. Another delightful interview, Peg. You've met some interesting people and they have some wonderful stories to share. Thank you.